The wholesale industry is all about buzz words at the moment - from IoT to Security and blockchain. A newcomer making its wholesale buzz list debut recently is ‘Artificial Intelligence’ or AI. In most of our minds, AI brings images of robots taking over the world and annihilating the human race. The fear is that if AI surpasses human and becomes “super-intelligent”, due to a sudden and unexpected “intelligence explosion”, then it will be difficult to control. But if that is ever to happen, it will most probably not be in our lifetime. So let’s instead focus on what could actually happen in the next 5 years and how it may positively impact the wholesale world. Let’s start at the beginning: What is Artificial Intelligence? To put it in simple terms, AI is the capability of a machine to imitate intelligent human behaviors which involve the ability to learn, reason, solve problems, perceive, and use languages. The key to AI becoming a meaningful change agent in our society is Machine Learning (ML), or the ability for a machine to truly learn on its own and possess intellectual capabilities equal, if not superior in certain ways, to humans. Without that skill, AI will never come out of its infancy, or what experts also call narrow AI, as it will only be able to perform narrow tasks with basic benefits in terms of efficiency, optimization and automation. Cloud-based application with image classification capabilities powered by convolutional neural networks running on Google servers and implemented by the Google Brain team. Used in Gmail products for quick replying to emails. Uses ML techniques to determine an appropriate reply to a message. Self- contained system for home use. These systems use speech recognition and other techniques to respond to voice queries and control a wide range of appliances. Chatbots for buying airline tickets and other services are becoming mainstream. A Go playing AI system using deep reinforcement learning. Was able to beat a human professional Go player. Tesla, Google, Uber and other giants are attempting to bring self-driving cars on the roads near you. In my opinion, AI could not have come at a better time in our industry where IoT is generating an exploding data requirement, where optimization, efficiency and automation is a question of survival and even more importantly, where customers want to control their communication experience in real-time and at all times. As human intervention is still required at every stage of network and product implementation and management, telecom operators are now functioning at the limit of their efficiency and adaptability. But the increased use of machines, which show some level of intelligence, could bring our industry to the long awaited next level of real-time, pro-active, predictive efficiency. For example, imagine operators’ networks as the body and let’s put a computer, which has the objective and necessary tools to ensure its survival and growth, as the brain of the network. We can easily imagine, as a result, a machine that takes the necessary decisions and actions to constantly optimize its body/network to prevent failures or congestion, to detect anomalies due to fraud, or predict and take action on future expansion requirements so the network always operates optimally and keeps it alive and in good working order for as long as possible. Of course we need to do all this in real-time, something humans cannot achieve considering the size and complexity of the task. It may sound far-fetched, but we are not that far away from such a reality. Systems which have learned to play Chess and Go to world expert level are now a reality. So we are not that far away from them learning to play the network and taking the necessary steps to optimize the service experience for example. What about the potential use of AI to interact with humans to provide a finely tuned, fully adaptive, hyper-customized experience at scale across millions of individuals? Can machines one day help us achieve this? The answer is yes and in some way they already are. We are seeing solutions offered by some vendors which apply machine learning to big data to generate the advanced analytics required to pool multiple sources of customer data – their digital trace in some way – and produce automated, hyper-personalized services based on each individual’s detailed profiling. This would never be possible without the power and speed of the machine. Other AI applications already enhancing customers’ experience include the use of virtual service desks able to communicate in natural language and use their learned knowledge to quickly and efficiently solve the customer problem or request. IPsoft’s Amelia is already creating a buzz in the industry with such a solution. I spent some time discussing potential uses of AI in wholesale with Luis Benavente, CTO of BTS, and have found that BTS has already identified a number of real-life AI applications in their day to day business. BTS is convinced about AI’s potential, not only in the telecom wholesale space, but in all business aspects of any company and in any industry sector. In BTS’ case, the analysis of their day to day operations revealed two possible initial use cases, where AI can be used to improvement productivity: anomaly detection and optimization analysis. 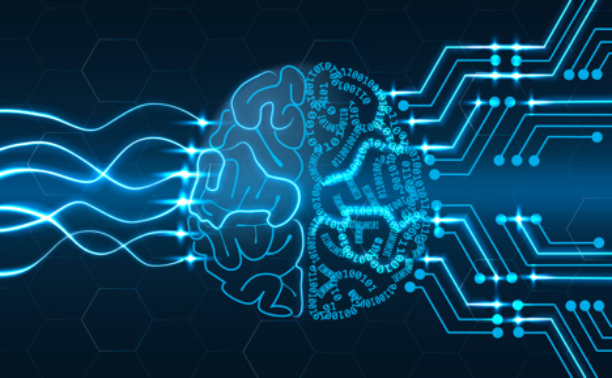 In the case of anomaly detection, AI is used to improve the detection of network and signaling problems, as well as to provide better anti-fraud control. Leveraging readily available off-the-shelf packages, BTS was able to train the algorithm within a few days to then apply it to real traffic. From there they were able to obtain the first results and improve their anomaly detection capabilities within only a few weeks. When it comes to optimization, from their point of view, AI can be used to more efficiently handle the logic behind the business, taking into consideration a number of parameters and analysing a number of possible outcomes in real-time. Something humans cannot do. The objective of using AI here is two-fold: firstly to create a system able to provide recommendations on the pricing and product configuration and secondly to optimize the traffic routing decision process. AI - THE NEXT BIG THING? How can AI impact the wholesale industry in a positive way? What other concrete applications can it now or will soon enable? From my point of view, AI can impact our industry by enabling the evolution of 3 types of applications. - Hyper-personalized, fluid end-user routing, rating and billing that meet the exact requirements of each customer. - Enabling interaction of customers directly with the network to enable real-time service modifications. - Language processing and translation to enable global communication in real-time between people using different languages. - Use of voice recognition to enable a more intuitive customer interaction. - Automated routing, rating and billing solutions based on multiple attributes of service with the objective of not only optimizing quality, but also revenue, margin and customer satisfaction. - Wholesale network orchestration to enable advanced and more interactive partnerships between a group of wholesalers. This could facilitate the creation not only of a more effective business, but of also of new services and service mash-up between different companies, something that would not be possible otherwise. - Trouble shooting and fault management between operators with automated handoff of issues, automated fixes and ticket closures. - Real-time, machine learning fraud prevention tools that will learn to predict and mitigate frauds before they hit the operators network. - Self-driving networks, which is an autonomous network which self-configures, monitors, manages, corrects, defends, and analyzes, all with very little human intervention. More importantly, they will predict performance and security issues before users are affected. - Computers that will sense the network behavior and will thereafter be able to predict and improve customer experience. By taking the necessary action to improve network performance and at the same time pro-actively interacting with customers, operators can minimize customer dissatisfaction. These use cases are only the tip of the iceberg and much more is to come in the near future. So get with it and start investigating now what AI can do for your business, as it has a great chance of becoming one of the next big things. The next article of this trilogy will dive into the potential use of AI in fraud prevention. A marriage made in heaven! 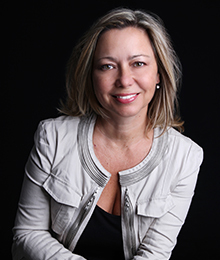 Isabelle Paradis, President of HOT TELECOM is an international telecoms expert, with over 23 years working experience in the Americas, Europe, Asia and Africa. HOT TELECOM has been serving global operators, governments, equipment vendors and telecom investors for over 14 years, providing leading edge market research and consulting services to industry leaders around the globe.